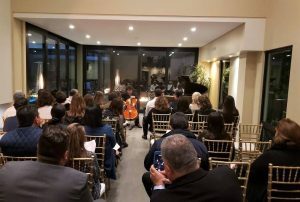 AIMS ON TOUR IN THE US & MEXICO! 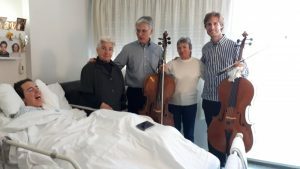 AIMS ON TOUR IN THE US! 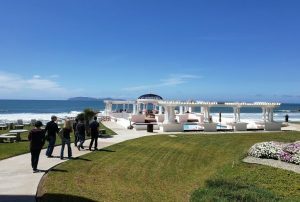 AIMS Social has perfomed in Boston, California (Sharp Memorial and Sharp Grossman hospitals in Sant Diego) and Tijuana. 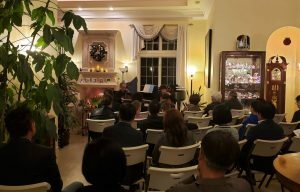 In Sant Diego took place as well a concert for the donors of Friends of AIMS US, hosted by Dr. Paul and Iris Kim. 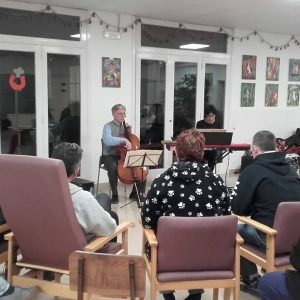 Over 70 people are attending these concerts with lots of emotions. 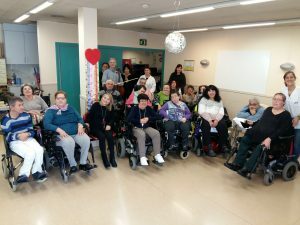 Under the title “A different Christmas is coming”, the hospital’s staff, volunteers and AIMS received the families of patients who this year passed away in the hospital. 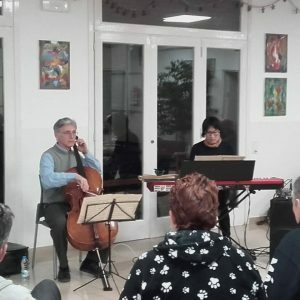 Music for consolate, music to encourage. 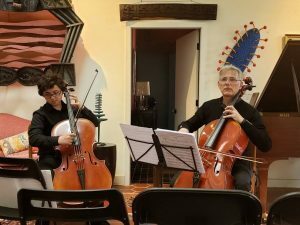 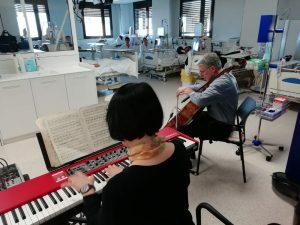 Yesterday in the city of Manresa, Guillaume Terrail and Peter Thiemann offered music to patients, their family members and staff at the oncologic, intensive care and long stay units of the Althaia Foundation’s hospitals. 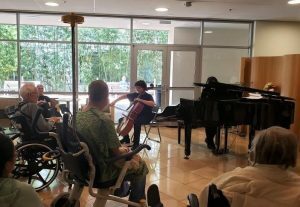 Intense moments of sharing emotions with and through music. 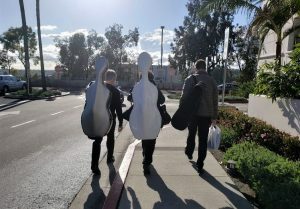 AIMS Social on the road. 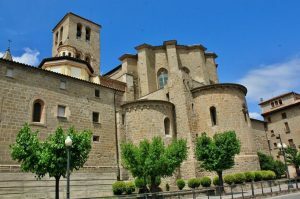 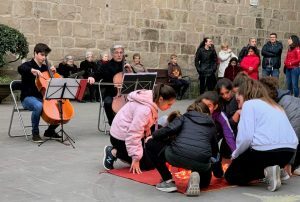 Today we offered two concerts in the city of Manresa. 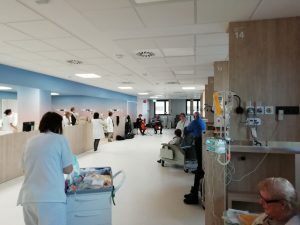 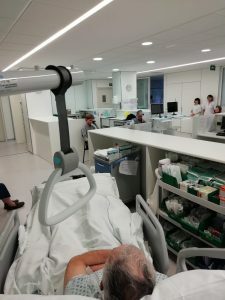 The first took place at the dialysis unit of the Sant Joan de Déu hospital. 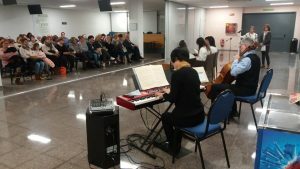 Afterwards we had a great time with our music lovers at the Center for Physical Handicapped of the Althaia Foundation.